The latest update to our ViewRanger apps for Apple iPhone and iPad users should be hitting your appstores today and tomorrow. This V3.2 update includes some new features, some simplified user interfaces, some power saving features, and a few bug fixes. The update can be downloaded from your Apple appstore. Dropbox is a very popular cross-platform file sharing service. 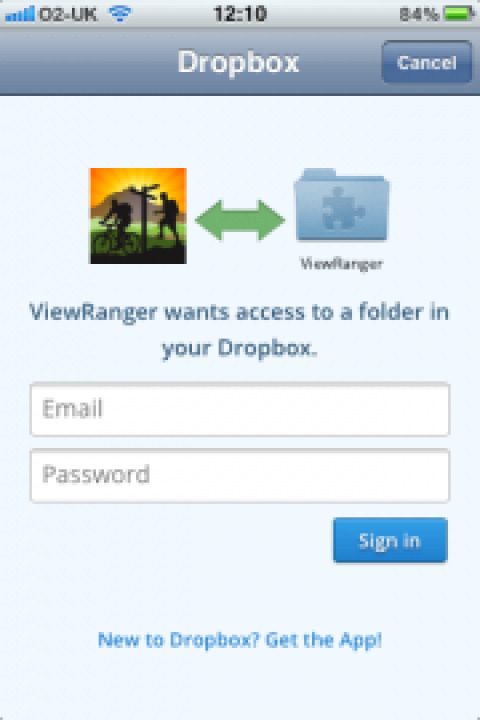 ViewRanger V3.2 on Apple now supports Dropbox, so you can export routes, tracks and POIs to GPX files directly via Dropbox. 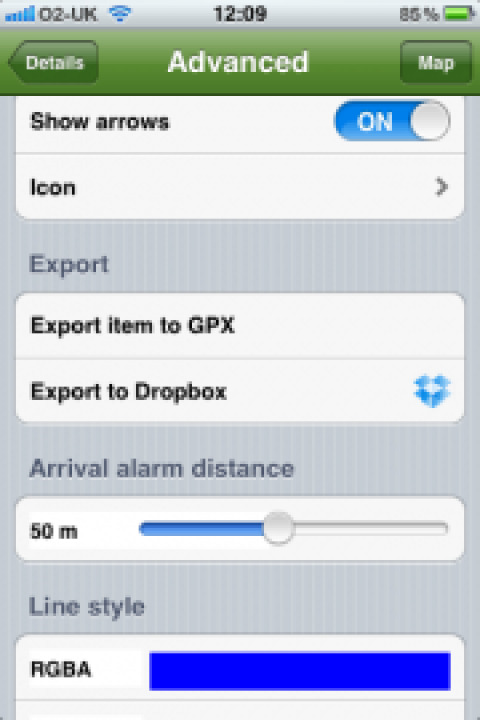 You can also import GPX files and other items from Dropbox. When you go Organizer > Tracks you’ll see a new Track Recording control panel. This provides quick-start recording of your trip. 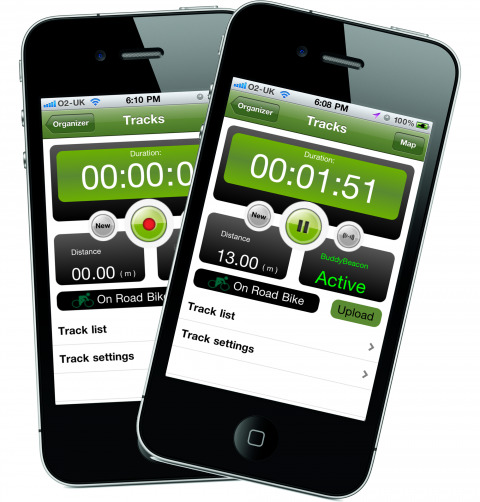 Simply tap the Record button to begin recording your track. This will include your location and altitude, and can be used to see how far you have travelled, your speed, height gain, and other information. You can see a wide range of data, live during your trip, using the TripView screen (ViewRanger’s ‘sports-gps’ display). The new Track Recording panel also makes it easier to start your BuddyBeacon, which will share your live location with people you choose to share your BuddyBeacon with. Simply tap on the BuddyBeacon button on the Track Panel to activate the BuddyBeacon. If you haven’t set up your BuddyBeacon privacy PIN, then you’ll be prompted to do so. When you have finished your trip (or even during your trip) simply tap “Upload” to send your track to your my.viewranger web account. The interaction when the iPad is in split screen mode, with the organizer down one side, has been improved. You can change what is selected without losing the side panel now. The items in the Organizer have been re-ordered, and we have made it quicker to go to the Details of a route or track by removing a menu screen that you had to navigate through. - When you select a route, track or POI, you now go straight to its Details page. - Scroll down the Details page to access the various options. - Properties is now called Advanced. - Some items, like Export to GPX, have been moved onto the Advanced page. 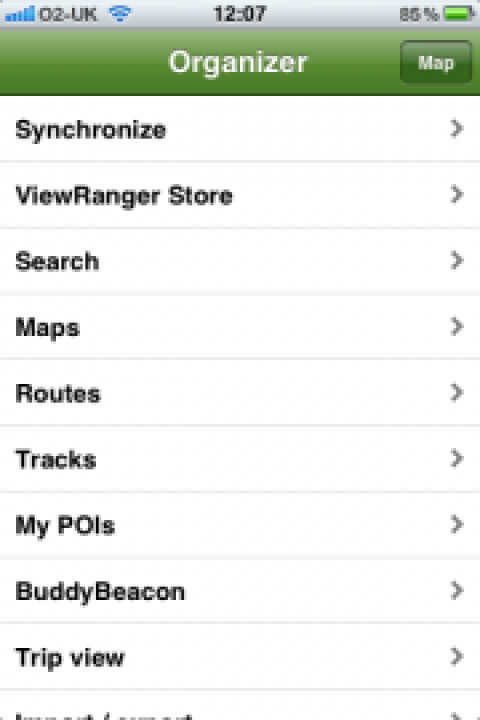 If you lock the screen or switch to another app, then Viewranger will stop using the GPS if the GPS is not needed. The GPS would still be needed if you are recording a track; or following a route or navigating to a point; or sending the buddy beacon. Alarms and audio will now play while the screen is locked (this had stopped working in iOS 5). Due to a change in the iOS 5.0 upgrade, alarms and audio were not being played if the screen was locked. With this release they will now be played. Though note they are not played if another app is top most.